Surf Fish-out Palm Beach/Pajaro Dunes March 12. Join Bill Scharninghausen, who will teach us the "how to" of Surf Fishing. This class will be limited to 6 rods, cost $55. Bring your lunch. Drop dead date for sign up: March 3rd. 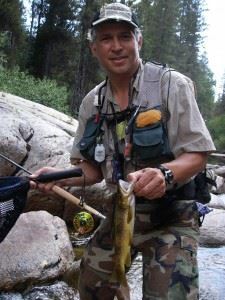 Bill has extensive experience fishing in salt water, particularly in the surf zone, as well as regularly fishing for striped bass in the Delta and in San Luis Reservoir. meet at 6 am, gear-up and be on the beach by 6:30 and fish the incoming tide until 10:30-11am. I normally have everyone meet at Palm Beach/Pajaro Dunes and we fish south toward the Parajo River mouth. Details and handouts available for those who sign up.